According to police reports coming out of Lake County, Indiana, a search warrant was served on a property in the town of Crown Point. 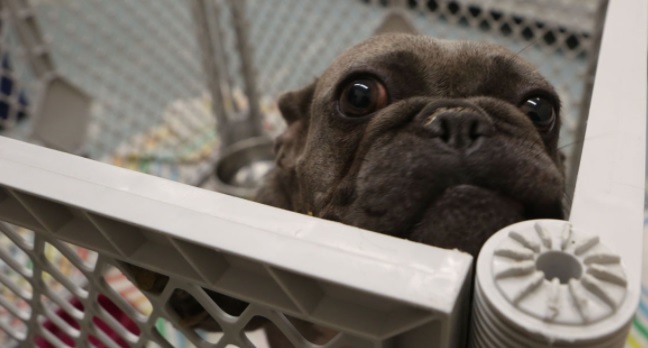 The property in question was under investigation by police after reports of an illegal breeding operation being run on the property were made to authorities. When they got there, they discovered a lot more than they had expected. Along with finding 68 dogs on the property, evidence of a slap-dash breeding operation was also present on the property, along with medical equipment consistent with veterinary surgery. 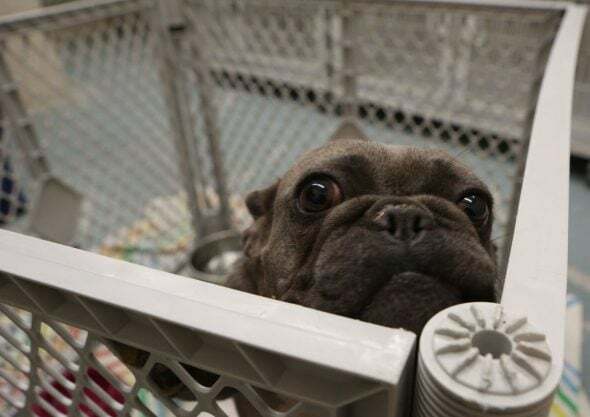 The property owner was not on site for the search, but he is facing charges of neglect, animal cruelty, running a breeding operation without a license, and practicing veterinary medicine without a license. The name of the property owner had not been released at the time this article was written. The property owner has not yet been formally charged by police for his crimes. An arrest for early today was planned, but no information has been released as of yet. The unlicensed medical operation may stem from the illegal breeding operation the suspect was running. 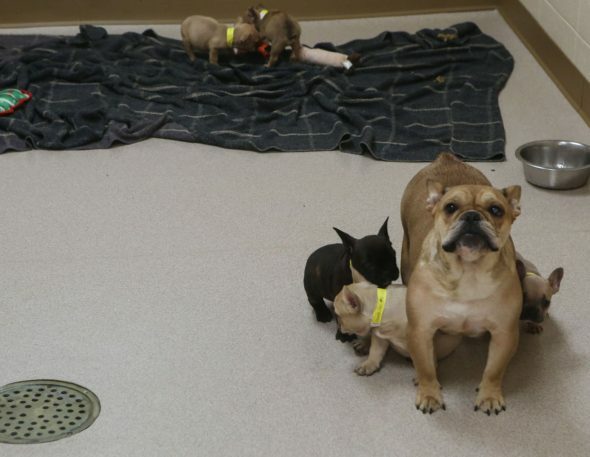 Many of the dogs that were removed from the property were small breed dogs, many of which are notorious for requiring C-sections for successful births. Buncich believes that the surgical equipment was for those express purposes. Buncich believes he was only out to ensure he could get a litter to sell, and wasn’t interested in improving the medical health of the dogs. Reports of what was going on at the property first started coming from neighbors about a year ago. Sheriff’s deputies did launch an investigation, however that didn’t bring about any real evidence that they could charge the man on. A few weeks ago, another call about the property came into police, and another investigation was launched. When police returned to the property, they were aghast at what they were confronted with. The smell coming from the property, specifically the garage, was strong enough to be smelled several houses away and could only be described as overwhelming. What they had thought was a hoarding case swas turning out to be a lot more than that. Police and first responders spent over seven hours at the property. 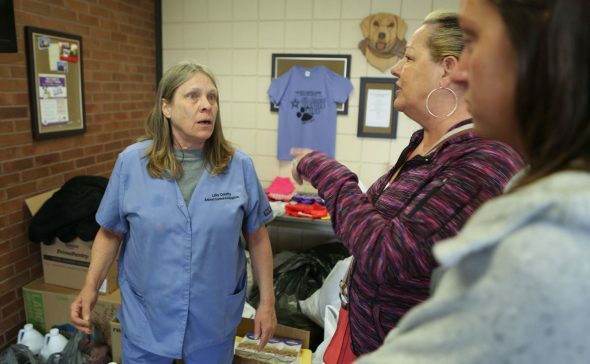 They took out a total of 68 dogs, 50 of them were puppies, three goats and a miniature horse. 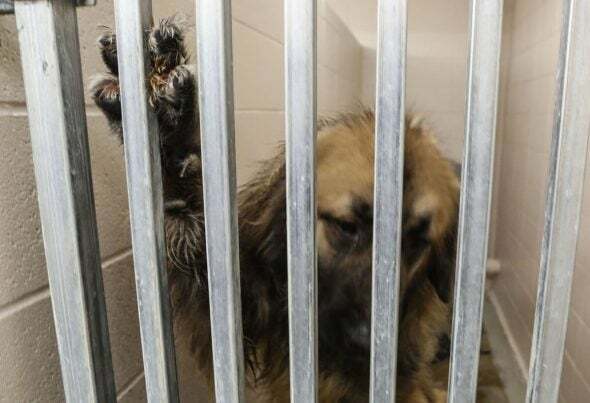 A couple of the dogs taken away required immediate medical assistance, and the rest were taken to the Lake County Sheriff’s Animal Adoption and Control Center in Crown Point. The goats and horse have been placed with a farmer who will be able to properly care for them, and the sheriff’s deputies are now looking into who was buying the dogs he was selling. No word has come from law enforcement officials on if there are any charges these people may face, or what other charges the man will face once arrested. Stay tuned to Life With Dogs for more information as it becomes available. Poor Darcy Has a Horrible Case of the Dog House Blues! Would like to adopt a puppy.